Residents of Vancouver’s North Shore have some new feathery neighbours. 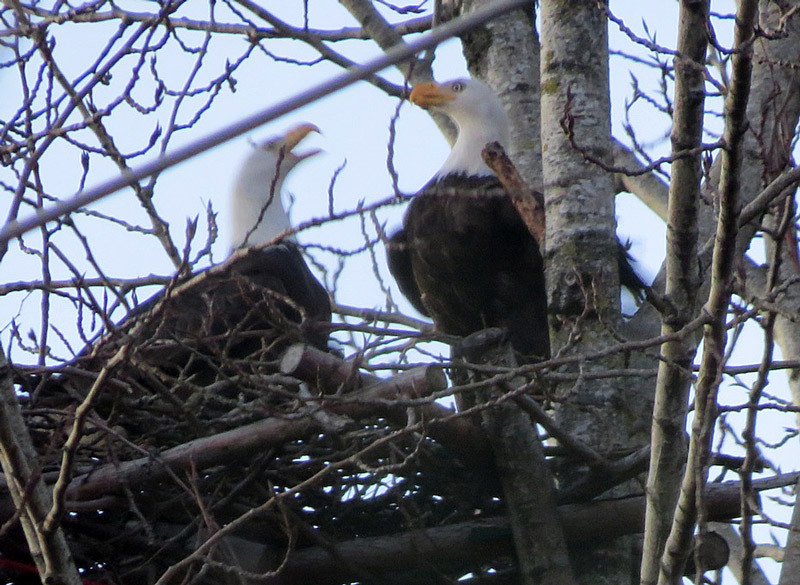 A pair of bald eagles has moved into a nesting platform built last summer at MacKay Creek estuary, which was recently restored as part of HCTF’s Burrard Inlet Restoration Pilot Program. Eric Anderson of the BC Institute of Technology led the project to construct a platform at the head of the estuary, adjacent to the Spirit Trail. 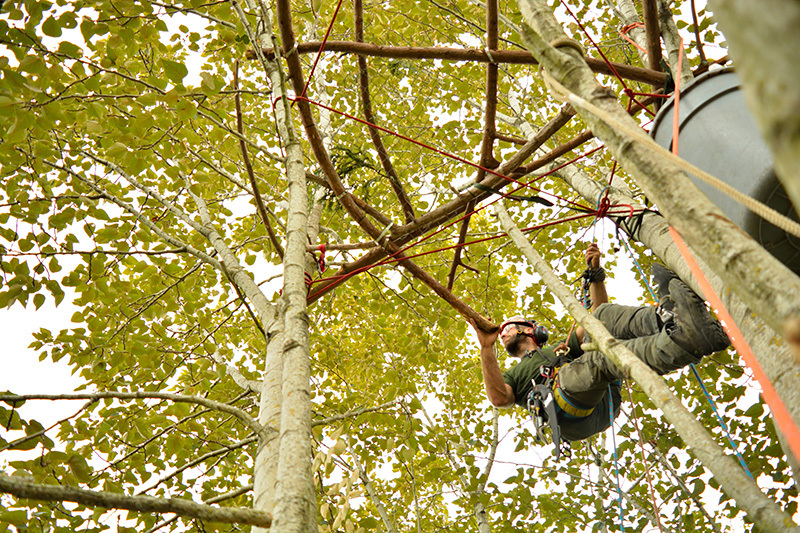 The host tree was selected by biologist David Hancock, whose extensive experience with eagle nest construction was critical to identifying a cottonwood of suitable size, shape, and location. 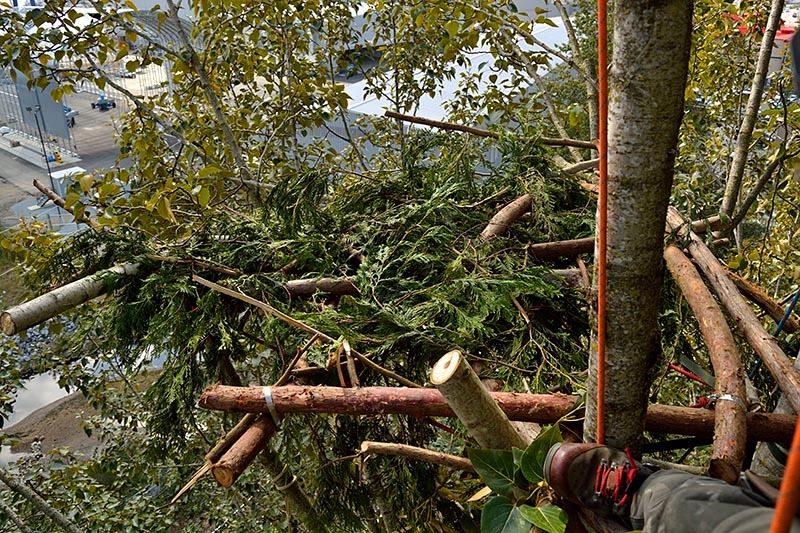 To get the tree eagle-ready, arborists carefully pruned some of the non-dominant stems to improve accessibility. Next, a cedar frame was attached using special lines designed to allow the tree to move and grow unharmed. Finally, the frame was lined with cedar boughs to make it a little more inviting for any prospective tenants. HCTF provided a grant both for the construction of the platform as well as complementary studies by four BCIT students? 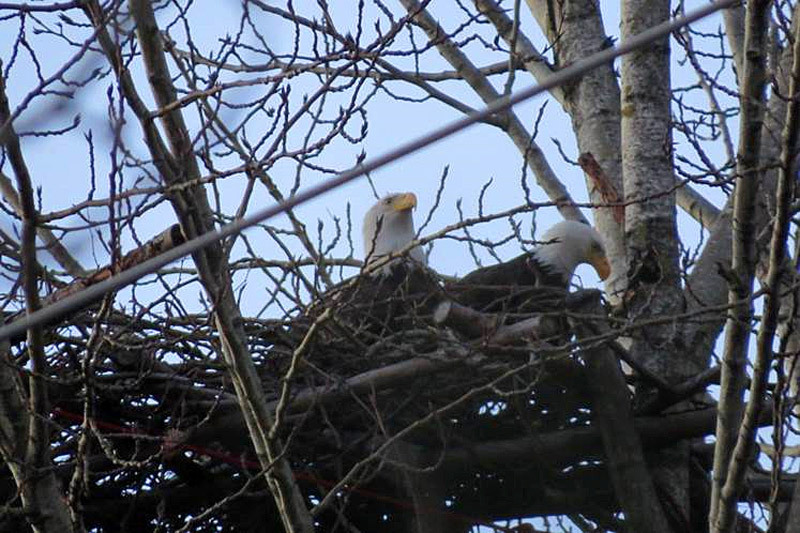 of eagle ecology that will inform future nest construction projects. The grant was made possible through an endowment HCTF received from the Ministry of Transportation as part of a compensation strategy for a bald eagle nest tree removed for the 2010 Highway 91 Interchange project. ?